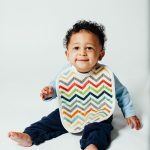 This is a sponsored post written by me on behalf of Fisher-Price. All opinions are 100% mine. 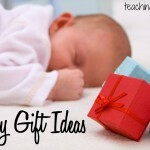 I’m so excited to share with you a new baby product that will make your life easier! 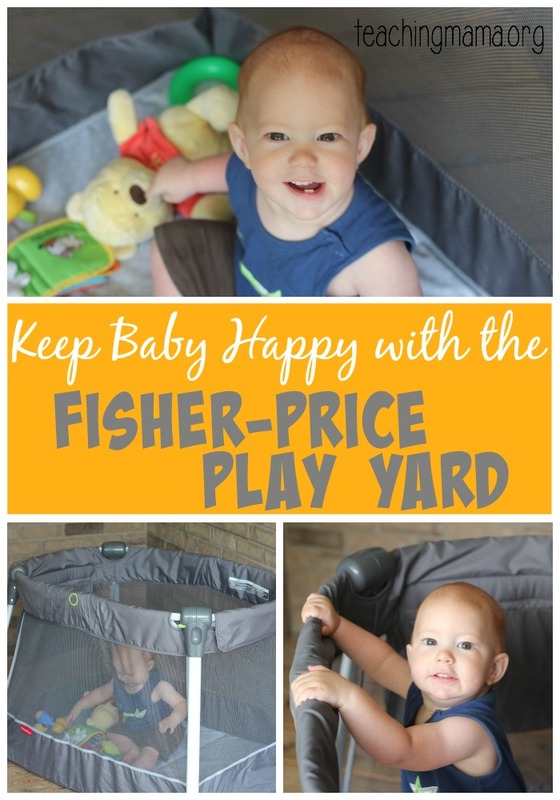 If you have a baby 18 months or younger, you’ll want to check out the versatile Ultra-Lite Day & Night Play Yard. After ours arrived in the mail, I couldn’t wait to put it together. In fact, it only took me a few minutes to get it set up and I didn’t even have to use the directions! I did double-check them just to make sure if was set up correctly. 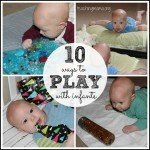 It was so easy to set up, I believe even non-parents could set this up (which you’ll get to see in a post coming up!). My baby is 11 months old, so we used this as a play yard. I was curious to see how he would do playing in there independently. I expected him to stand up and cry for me, however he did the opposite! He loved it! He sat and played so nicely with his toys on the soft floor of the play yard. 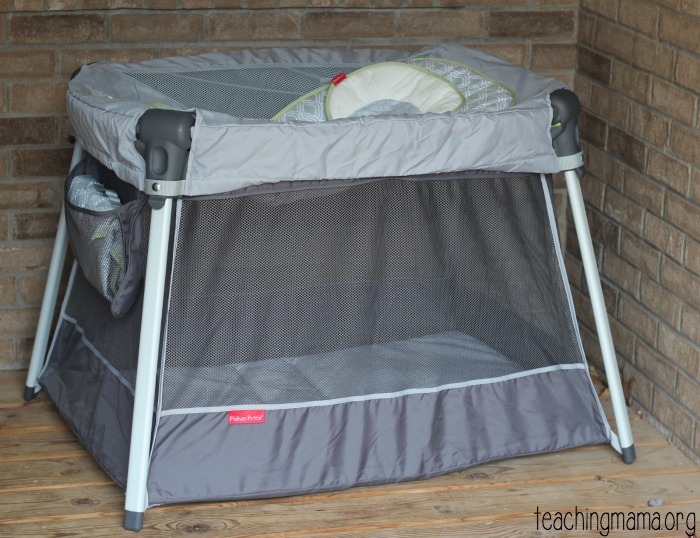 The bottom fits any standard-size play yard sheet and keeps the play yard firmly on the floor. I will note that the bottom sits right on the floor and is not raised above the ground like other play yards. He also enjoyed pulling himself up and looking over the edge. I just love this sweet face! I was pleasantly surprised with how much he liked the play yard. Now I’m able to attend to my older children or prepare meals without him at my feet. This is definitely a versatile product. 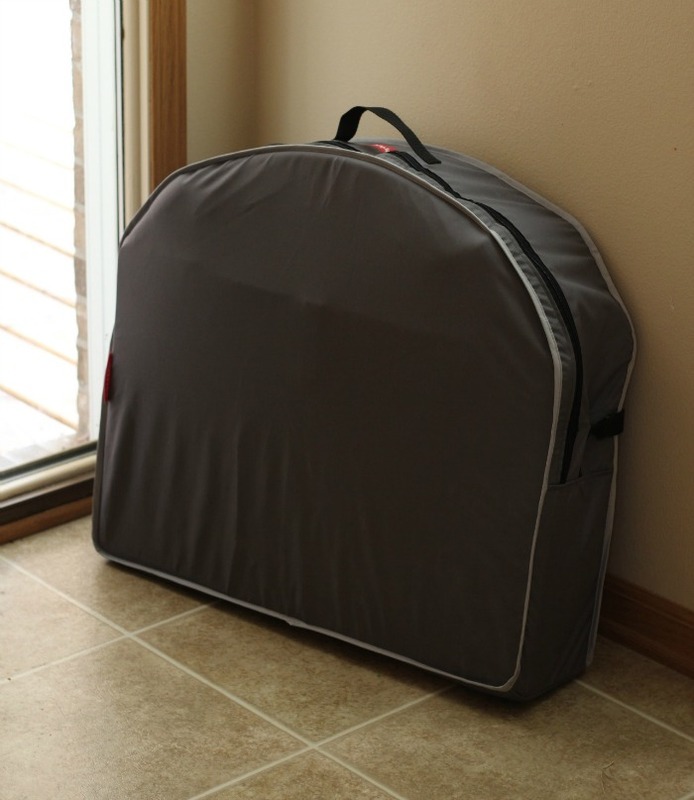 Not only is it used as a play yard, but it can also be a sleeper and portable changing table. 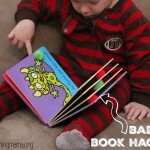 If I had a newborn, I would definitely use this as a sleeper. It is so soft and I love the incline. It’s actually the same incline sleeper as the Fisher Price Rock n’ Play Sleeper (which we actually used!). 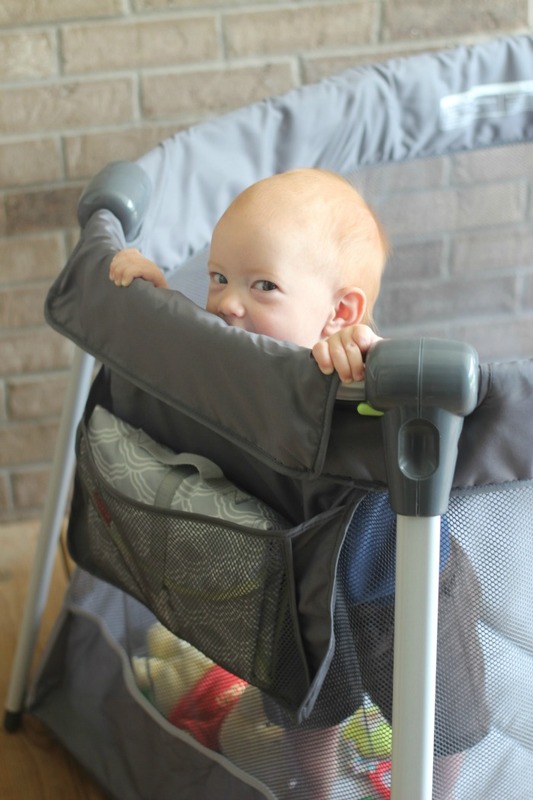 It has a supportive seat back, soft head support, and a 3-point restraint that keeps the baby comfy, secure, and inclined. 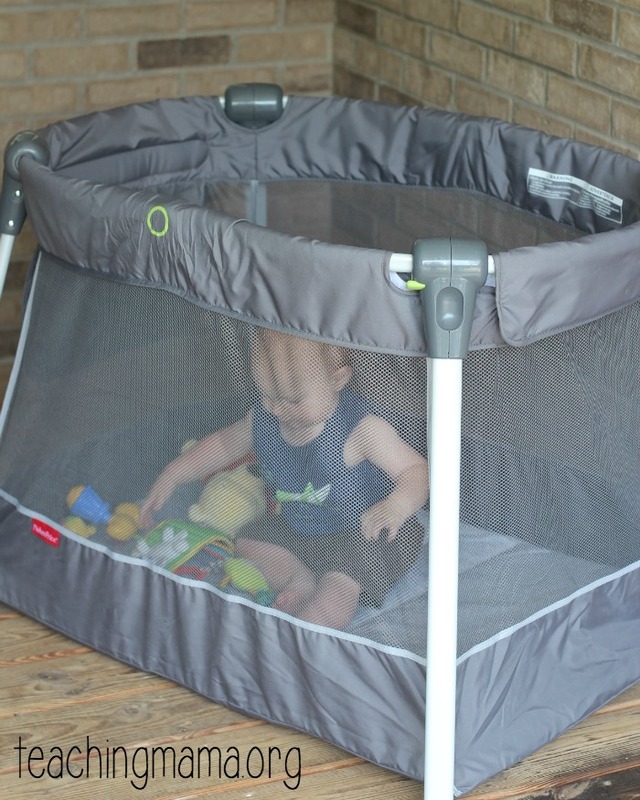 The Ultra-Lite Day & Night Play Yard folds up so nicely and is easy to store. The first time I put it away, I had to look at the directions, but now it’s very simple. I also want to note that the directions for setting up and putting away are printed on the bottom of the play yard, in case you don’t have the paper directions with you. I’ll be honest and share that we have used another play yard before. This Fisher-Price one is SO much lighter, weighing only about 16 lbs. 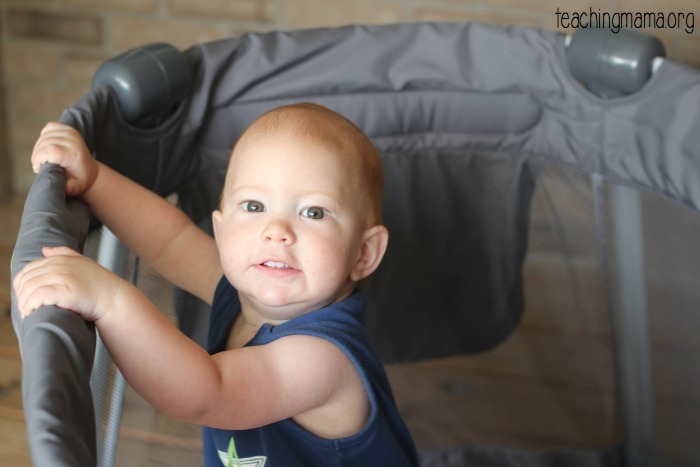 It is very portable and makes it easy for my baby to sleep or play on the go! I love it! Lastly, I love the colors and the design of the play yard. It’s called Morning Cloud and you can Purchase at Walmart for $139.99. 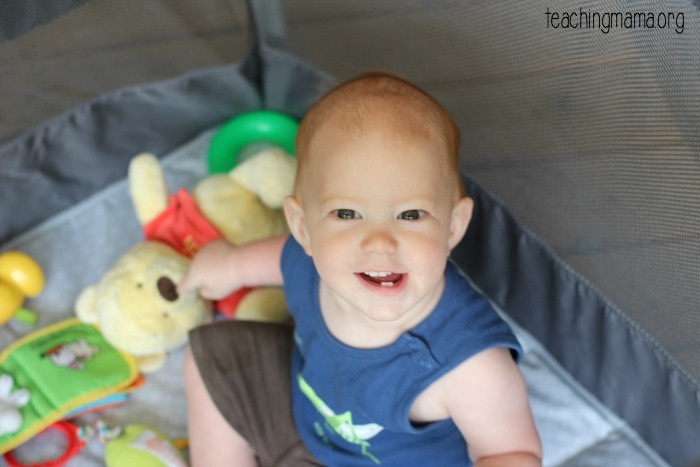 This play yard is a must-have for babies! 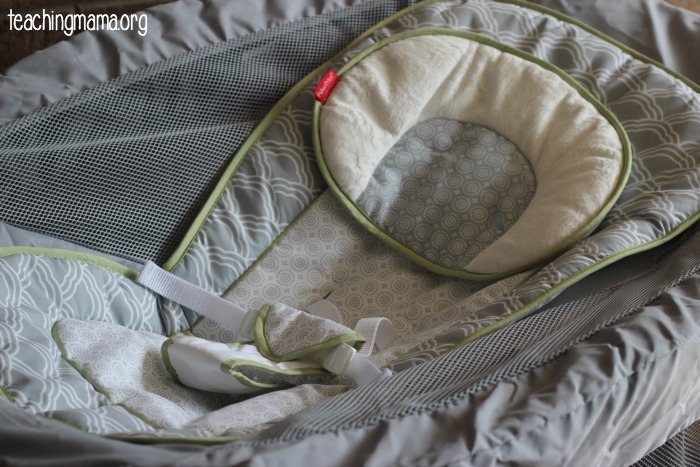 It includes everything you need for napping, playing, and changing on the go! 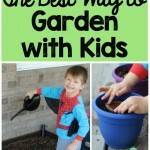 I even think it would be great for grandparents and caretakers to have in their homes. If you have the Ultra-Lite Day & Night Play Yard, I’d love to hear how you like it!